This post is a great one for both buyers, sellers, or just anyone who wants their home to look great. When I work with clients, both buyers and sellers, something that often comes up is how to make use of a room and make it look great. A well-executed plan can help a home sell quickly or make a buyer fall in love with the home they chose. This post can help you hack interior designers’ tricks and make your rooms come alive. Wondering how to use that space? So are your buyers. Interior designers have a knack and the training to look at a space and find that balancing point between style and function. When you are selling your home, you need every room putting its best foot forward. You certainly do not want potential buyers wondering how they are going to arrange the furniture and where the TV goes. Some homes have those awkward rooms, the ones with a non-traditional space or no real defined purpose. These rooms need special attention. Something I recommend is using the website Houzz for inspiration. This site relies on top industry pros showcasing some of their best work. You can use this site to hack interior designers’ tricks for almost any style or room. This site is amazing, you can browse by room and find a style that agrees with your taste. It is also great at solving styling dilemmas such as small living rooms. It is well organized and offers tons of free advice. You can shop right from the photos and hire a designer if that is something you want to pursue. Using that inspiration on a budget is key. Even better, you can use the site to give you the inspiration and knowledge you’re looking for and then hack these interior designers’ tricks to make it work for your situation. You can scale down those ideas to fit any budget. Chances are if you are tying to style a room to sell your home you aren’t interested in spending a lot of money. If you are buying that first home, there probably isn’t a ton of left-over cash to spend on décor and furnishings. I love this site for buyers who find a home they love but struggle with how to make use of a particular room. It might have everything they are looking for in terms of location, price, number of bedrooms and bathrooms, but there is something that they just cannot get past. I tell them to use this resource to solve this issue and make the house their own. 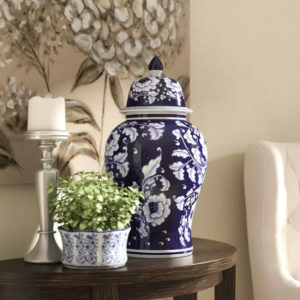 To keep this all budget friendly, you can find many of the same looks and styles at retailers such as Home Goods. If you prefer to shop online, Wayfair is an excellent source. Sellers will want to pay particular attention to the way a well styled table top or mantle can make the room come alive with well-chosen and placed artwork. Sites like these are one of the top hacks that interior designers use when staging a home to sell. Ever tour a model home and wish you could just move in? That’s the idea, take advantage of their design expertise and then use these resources to furnish with art and accessories at a price that is budget friendly. Need More Expert Advice About Your Next Home? I pride myself on giving my clients advice they can count on when thinking about their next home. While other agents are telling you to replace counter tops or to take on more house than you know you can afford, I prefer to help my clients get the most value when in the market either as a buyer or seller. I never forget that my number one duty is to represent you, the client. I’m proud to say I’ve had enough success and experience to always act with your best interests in mind.